After the conquest of Istanbul by Mehmed the Conqueror at 1453, construction of the Topkapı Palace was started at the year 1460 and completed at 1478 . Palace was built upon a 700.000 squaremeters area on an Eastern Roman Acropolis located at the Istanbul Peninsula between Sea of Marmara, Bosphorus and the Golden Horn. Topkapı Palace, was the administrative, educational and art center of the Empire for nearly four hundred years since Mehmed the Conqueror until Sultan Abdulmecid who is the thirty-first Sultan. Although Palace was abandoned by the Ottoman Dynasty by moving to the Dolmabahçe Palace at middle 19th century, Topkapı Palace was protected its importance everytime. 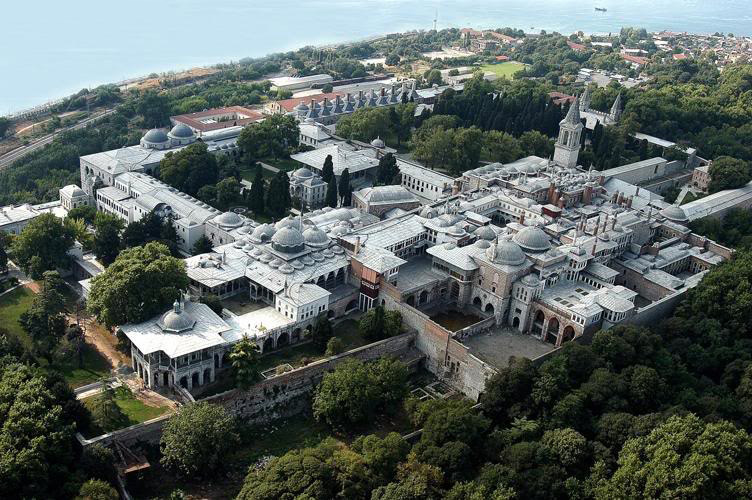 After the establishment of the Republic of Turkey, Topkapı Palace, was transformed into a museum at the date April 3th 1924 and it was also the first museum of the Republic of Turkey. Topkapı Palace Museum is covering approximately 400.000 squaremeters at the present day. Topkapı Palace divided from the city from the land-side by the Imperial Walls which is made by Mehmed the Conqueror. It divided from the city also from the sea-side by the Byzantine Walls. Topkapı Palace is one of the biggest palace-museums with its architectural structures, collections and approximately 300.000 archive papers. 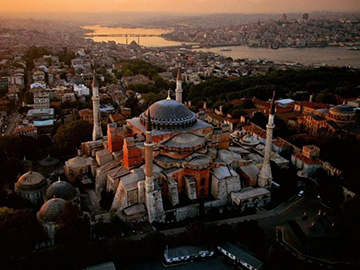 Hagia Sophia Museum is available everyday for visiting except Mondays. Museum Ticket : 30 TL. 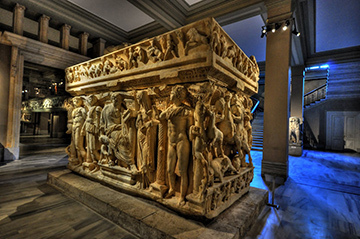 The Istanbul Archaeological Museums, inherited by the Republic of Turkey from the Ottoman Empire, is hosting the outcomes of the first activities in the field of museum works. In fact, in the Ottoman era, traces of the interest in collecting historical artifacts goes back to the era of Sultan Mehmed II the Conqueror. Its name is plural, since there are three different museums under the same administration: The Archaeological Museum, the Ancient Orient Museum (Eski Şark Eserleri Müzesi) andTiled Kiosk Museum (Çinili Köşk Müzesi). During an İstanbul Archaeological Museums tour, it is possible to visit the extraordinarily beautiful garden of the museum and the three different buildings inside this garden. 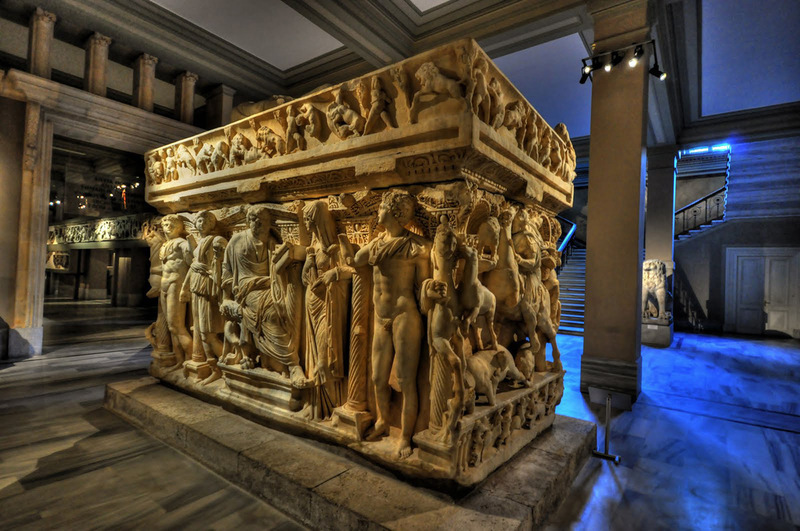 The İstanbul Archaeological Museums, which is housing various artifacts from civilizations that had left their traces to different periods of the history, is one of the 10 most important world-class museums designed and used as a museum building. Additionally, it is the first institution in Turkey arranged as a museum. Besides its spectacular collections, the architectural aspects of its buildings and its garden are of historical and natural importance. The Sultan Ahmed Mosque has one main dome, six minarets, and eight secondary domes. The design is the culmination of two centuries of Ottoman mosque development. It incorporates some Byzantine Christian elements of the neighboring Hagia Sophia with traditional Islamic architecture and is considered to be the last great mosque of the classical period. The architect,Sedefkâr Mehmed Ağa, synthesized the ideas of his master Sinan, aiming for overwhelming size, majesty and splendour. 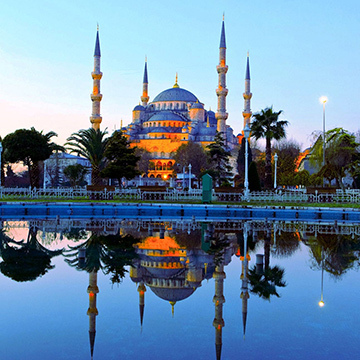 The Blue Mosque is open daily. Except prayer times entry is available. 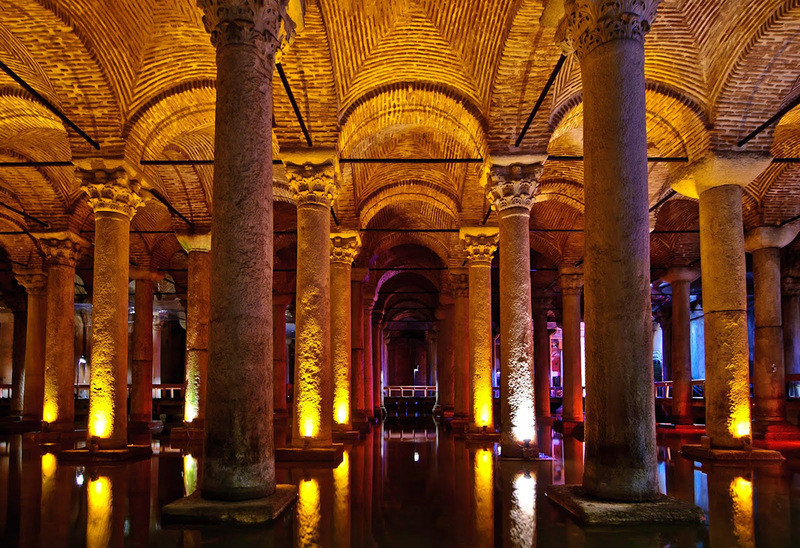 The Basilica Cistern (Turkish: Yerebatan Sarayı - "Sunken Palace", or Yerebatan Sarnıcı - "Sunken Cistern"), is the largest of several hundred ancient cisterns that lie beneath the city of Istanbul (formerly Constantinople), Turkey. The cistern, located 500 feet (150 m) southwest of the Hagia Sophia on the historical peninsula of Sarayburnu, was built in the 6th century during the reign of Byzantine EmperorJustinian I. Ancient texts indicated that the basilica contained gardens, surrounded by a colonnade and facing the Hagia Sophia. According to ancient historians, Emperor Constantine built a structure that was later rebuilt and enlarged by Emperor Justinian after the Nika riots of 532, which devastated the city. Historical texts claim that 7,000 slaves were involved in the construction of the cistern. 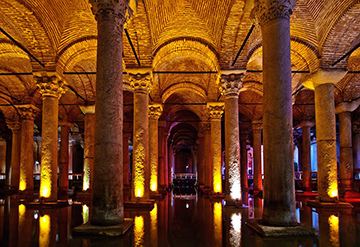 The Basilica Cistern is open daily. 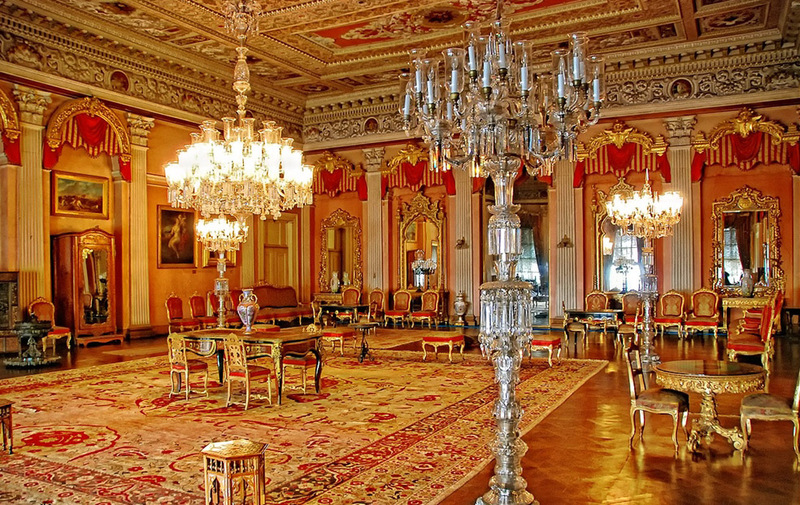 Dolmabahçe Palace was built by Sultan Abdulmecid (1839-1861) who was the thirty first Ottoman Sultan. The palace, whose construction commenced on June 13th, 1843, was brought into use on June 7th, 1856, upon completion of surrounding walls. The palace mainly consists of three parts, named as the Imperial Mabeyn (State Apartments), Muayede Salon (Ceremonial Hall) and the Imperial Harem. The Imperial Mabeyn was allocated for administrative affairs of the state, Imperial Harem was allocated for private lives of the sultan and his family and the Muayede Salon, placed between these two sections, was allocated for exchanging of bayram greetings of sultan with dignitary statesmen and for some important state ceremonies. Dolmabahçe Palace, hosted 6 sultans at intervals and also the last Ottoman Caliph Abdulmecid Efendi from 1856 when it was put into service, until the abolition of the caliphate in 1924. The palace was used as Presidency office between 1927-1949. Gazi Mustafa Kemal Atatürk, the founder of our Republic, used Dolmabahçe Palace for his studies at İstanbul between 1927-1938 and died in this palace. The Palace which was partially open to protocol and visits between 1926-1984 and was opened to visit as a “museum-palace” from 1984. Palaces, kiosks & pavilions are closed on Mondays and Thursdays. 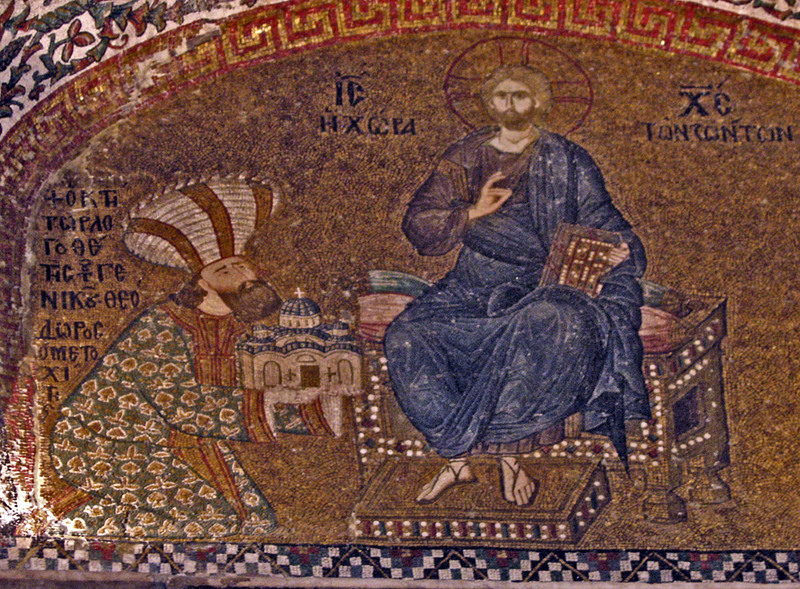 A well preserved, lavishly decorated Byzantine church like the Chora can be read on several different levels. For the simple monk of Byzantine times or for the uninitiated tourist of today, its decoration presents illustrations from holy books – subjects occasionally familiar, occasionally obscure. On another level, the themes and subjects of the decorative program resonate with movements and verses of the Byzantine liturgy, and the art of the Chora can be understood as a reflection of the rituals that marked the daily life of a monastic church. 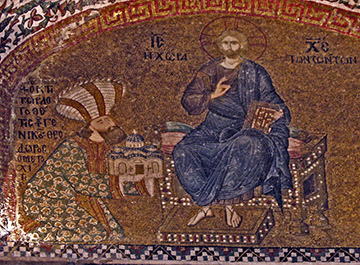 On yet another level, the art of the Chora reflects the patronage of one of Byzantium‘s greatest intellectuals; it is as sophisticated and erudite as a work of contemporary Byzantine literature, structured like a vast epic poem. The early fourteenth century rebuilding of the Chora included the reconstruction of the naos dome and the pastophoria, as well as the addition of a twostory annex to the north side, inner and outer narthices to the west, and the parekklesion to the south. The additions have proved to be the result of a single building campaign, but the irregularities of the plan are distinctive and have long confused scholars. Albert Lenoir, for example, who drew the building in the midnineteenth century, simply refused to admit that it was irregular. Indeed, the Kariye seems to lack an overall logic and appears as an incongruous juxtaposition of components. Both the complex design and scholarly confusion resulted from a number of factors. The utilization of the Middle Byzantine core of the building, the sloping site, and the varying functions of the ancillary chambers dictated special planning considerations and resulted in numerous compromises in the final construction. Moreover, repairs of the Ottoman period have altered many important aspects of the building, and an attempt at restoration is necessary to visualize the fourteenth century building. 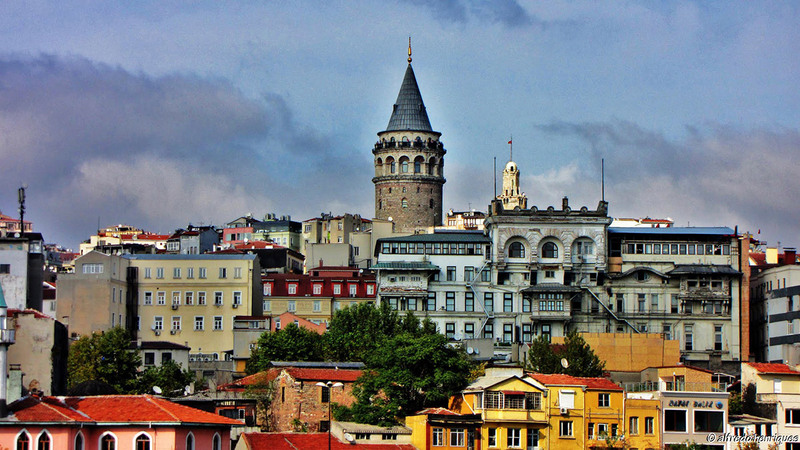 The Galata Tower (Galata Kulesi in Turkish) — called Christea Turris (the Tower of Christ in Latin) by the Genoese — is a medieval stone tower in the Galata/Karaköy quarter of Istanbul, Turkey, just to the north of the Golden Horn's junction with the Bosphorus. One of the city's most striking landmarks, it is a high, cone-capped cylinder that dominates the skyline and offers a panoramic vista of Istanbul's historic peninsula and its environs. The nine-story tower is 66.90 meters tall (62.59 m without the ornament on top, 51.65 m at the observation deck), and was the city's tallest structure when it was built. The elevation at ground level is 35 meters above sea-level. The tower has an external diameter of 16.45 meters at the base, an 8.95 meters diameter inside, and walls that are 3.75 meters thick. There is a restaurant and café on its upper floors which command a magnificent view of Istanbul and the Bosphorus. Also located on the upper floors is a night club which hosts a Turkish show. There are two operating elevators that carry visitors from the lower level to the upper levels. The Grand Bazaar (Turkish: Kapalıçarşı, meaning ‘Covered Bazaar’; also Büyük Çarşı, meaning ‘Grand Bazaar’ in Istanbul is one of the largest and oldest covered markets in the world, with 61 covered streets and over 3,000 shops which attract between 250,000 and 400,000 visitors Daily. The construction of the future Grand Bazaar's core started during the winter of 1455/56, shortly after the Ottoman conquest of Constantinople. Sultan Mehmet II had an edifice erected devoted to the trading of textiles.It was named Cevâhir Bedestan(‘Bedesten of Gems’) and was also known as Bezzâzistan-ı Cedîd (‘New Bedesten’) in Ottoman Turkish. 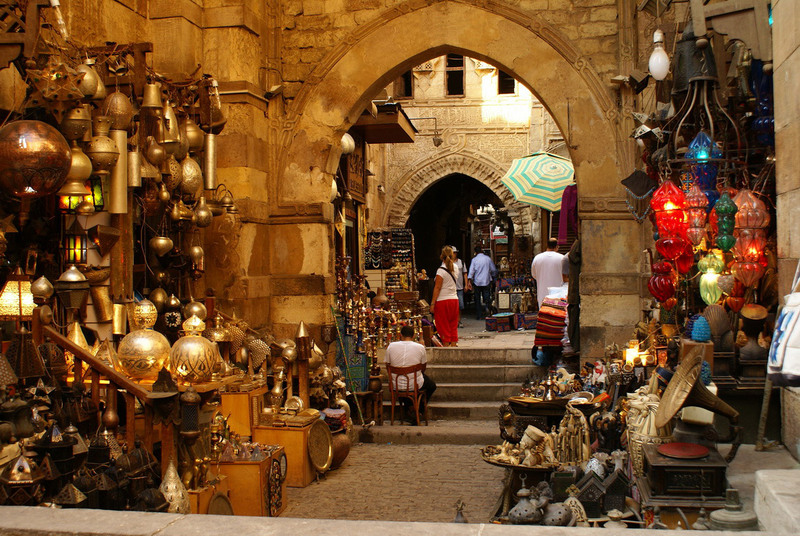 There are several documents suggesting the name of the bazaar was first "New Bazaar". 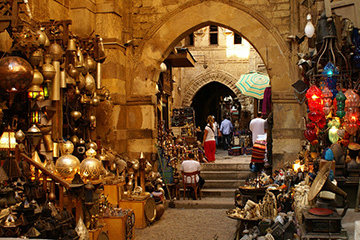 The building was endowed to the foundationof the New Mosque, and got its name "Egyptian Bazaar" (Turkish: Mısır Çarşısı) because it was built with the revenues from the Ottoman eyalet of Egypt in 1660. The word mısır has a double meaning in Turkish: "Egypt" and "maize". This is why sometimes the name is wrongly translated as "Corn Bazaar". The bazaar was (and still is) the center for spice trade in Istanbul, but in the last years more and more shops of other type are replacing the spice shops. The building itself is part of the külliye (complex) of the New Mosque. The revenues obtained from the rented shops inside the bazaar building were used for the upkeeping of themosque. 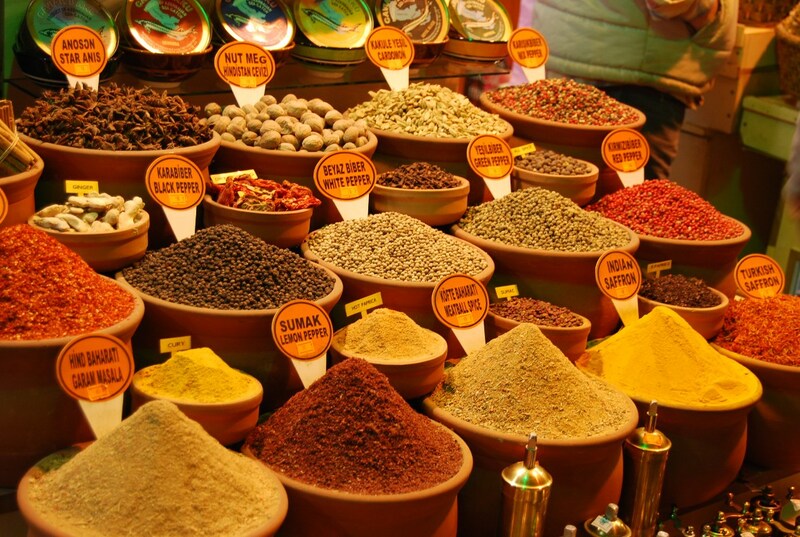 Spice Bazaar has a total of 85 shops selling spices, jewellery, souvenir, dried fruits-nuts and sweets. The opening hours are 09:00 am to 19:00 pm during weekdays and Saturday; from 10:00 am to 18:00 pm on Sundays. 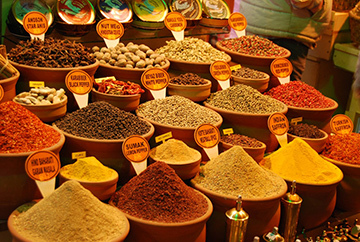 Spice Bazaar is closed during religious and public holidays.